Personal chauffeur Dallas is a smart decision whether going to several nightclubs, a quiet dinner or other entertainment venues where alcohol will be consumed; you can freely enjoy the evening with friends and family while your personal chauffeur Dallas navigates the city in your vehicle, or one of ours. Every client experiences peace of mind knowing they have safe, reliable transportation back to their home or hotel. Safeway Drivers offers a high level of convenience, flexibility and comfort. Enjoy the service provided by a trained personal chauffeur Dallas. With a personal chauffeur Dallas, you no longer have to be concerned with traffic, parking problems or how much anyone had to drink. Most importantly, convenient door-to-door service from your chauffeur gives you peace of mind. Let us provide you with a personal chauffeur Dallas or chauffeured vehicle to take you to another city, a special event, or your medical appointments. A safe and reliable option for your elderly loved ones. Our drivers can provide a stress free commute. Get some work done or relax instead of dealing with traffic. Our sharply attired personal chauffeur Dallas and chauffeured car service are available for your convenience 24 hours daily. Our staff is highly-screened and must sign confidentiality agreements before being hired. These are just a few of the reasons that you should sit back, relax, and let us do the driving! Need a personal chauffeur Dallas or a car service for a special event? These are affordable luxuries with Safeway Drivers. Our customer-friendly discounts make it affordable to reserve a personal chauffeur Dallas or car service locally & other major cities. Your personal chauffeur Dallas may be used to drive your vehicle for just a few hours, or the entire day. Review the Pricing & Discounts page to check out our very competitive prices and start saving on our services today! 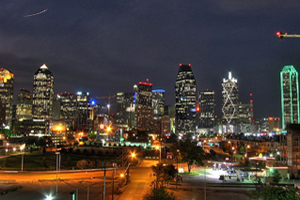 Dallas (214) 295-7099 is the nation’s ninth largest city; the new slogan “Live Large, Think Big.” describes the essence and vitality of a city built on big dreams. 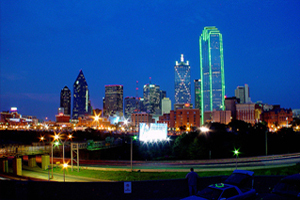 Dallas is one of the leading convention destinations in the U.S., due to the city’s outstanding convention and meeting facilities, world-class accommodations, numerous restaurants, and endless variety of entertainment and recreational opportunities it is tagged as the number one destination in Texas. The Dallas Arts District, the West End Historic District and numerous posh hotels, is a driving force behind the city’s appeal. With countless festivals, exhibits, events and attractions, Dallas offers numerous opportunities to experience, and appreciate – friendly people, entrepreneurial spirit, flair for style and innovation, mild climate, excellent accessibility, and outstanding quality of life. Average year-round temperature ranges from 44ºF to 85ºF. (Average temperature is 66ºF) with no hurricane season. Numerous trendy nightclubs, pubs, lounges, cigar bars and roof-top patios provide cosmopolitan and hip entertainment districts for an exciting nightlife and entertainment scene.